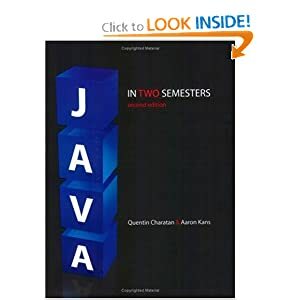 This second edition of the successful textbook, “Java in Two Semesters”, provides a comprehensive treatment of object-oriented programming, covering both introductory material and the more advanced topics of a second level course. Thoroughly revised and updated to reflect the latest release of the Java language, the new edition covers the most recent developments in Java programming. Part One presents the key concepts of object-orientation and takes the student from simple programming concepts through to inheritance and HCI. The second part of the book introduces topics such as advanced graphics programming, exceptions, threads, file handling and network programming, and culminates in a final chapter on Java in the context of the current software development environment.Based upon Java 5.0, the book includes topics such as generics, autoboxing and unboxing, a new chapter on network programming as well as a chapter covering the recently updated Java Collections Framework. Program control is covered by two separate chapters, and there is an entire chapter devoted to the implementation of methods. In addition to new technical developments, the book retains frequent examples, extensive end of chapter exercises, unique case study chapters, and offers a free student CD-ROM containing a Java IDE and all essential Java classes from the text. Ubiquitous and fundamental in cell mechanics, multiscale problems can arise in the growth of tumors, embryogenesis, tissue engineering, and more. 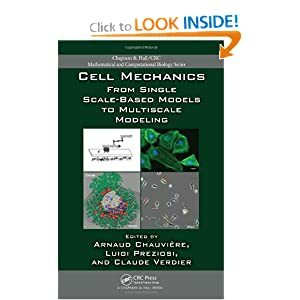 Cell Mechanics: From Single Scale-Based Models to Multiscale Modeling brings together new insight and research on mechanical, mathematical, physical, and biological approaches for simulating the behavior of cells, specifically tumor cells. This book collects novel methods to apply to cells and tissues through a multiscale approach. It presents numerous existing tools while stimulating the discovery of new approaches that can lead to more effective and accurate predictions of pathologies. Understanding operating systems, 6th ed. Now in its sixth edition, “Understanding Operating Systems, International Edition” continues to provide a clear and straightforward explanation of operating theory and practice. As in previous editions, the book’s highly-regarded structure begins with a discussion of fundamentals before moving on to specific operating systems. This edition has been updated and modernized; now included are enhanced discussions of the latest innovation evolutions (multi-core processing, wireless technologies, PDA and telephone operating systems, and Blu-ray optical storage) and how they affect operating systems. Revised Research Topics in the exercise section encourage independent research among students. Content in the final four chapters has been updated to include information about a few of the latest versions of UNIX (including specific mention of the latest Macintosh OS), Linux, and Windows. 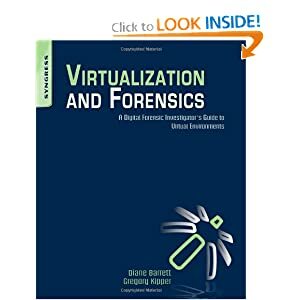 Virtualization and Forensics offers an in-depth view into the world of virtualized environments and the implications they have on forensic investigations. Part I explains the process of virtualization and the different types of virtualized environments. Part II details how virtualization interacts with the basic forensic process, describing the methods used to find virtualization artifacts in dead and live environments as well as identifying the virtual activities that affect the examination process. Part III address advanced virtualization issues, such as the challenges of virtualized environments, cloud computing, and the future of virtualization. After reading this book, you’ll be equipped to conduct investigations in these environments with confidence. 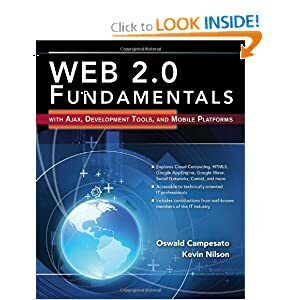 Designed for a broad spectrum of people with technically diverse backgrounds, this book covers the most recent developments in Web 2.0 programming topics and applications, including up-to-date material on cloud computing, Google AppEngine, Social Networks, Comet, HTML5, semantic technology, and a chapter on the future of the Web. Web 2.0 Fundamentals: With AJAX, Development Tools, and Mobile Platforms prepares readers for more advanced technical topics in Web 2.0. The accompanying CD-ROM and companion website provide code samples from the book and appendices with an extensive set of links for supplemental material and links for the Twitter and Facebook pages. 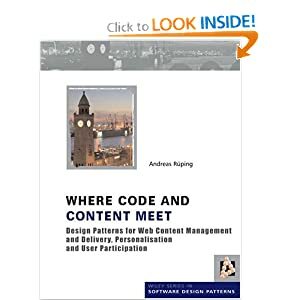 Where Code and Content Meet presents a collection of real-world, tried and tested patterns that address content-related aspects of custom software development for advanced Web sites or platforms. Mined from a series of successful Web projects, the patterns represent collected expertise of designers from several software development teams and serve as a practical guide to designing your own content-related custom components for your Web project. The patterns are independent of specific tools and technologies, and focus on non-functional requirements, with the overall goal of defining sustainable software architecture. 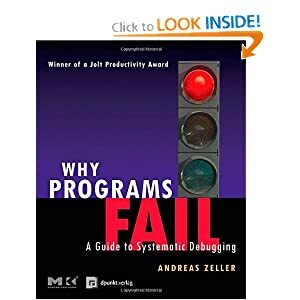 Why Programs Fail is about bugs in computer programs, how to find them, how to reproduce them, and how to fix them in such a way that they do not occur anymore. This is the first comprehensive book on systematic debugging and covers a wide range of tools and techniques ranging from hands-on observation to fully automated diagnoses, and includes instructions for building automated debuggers. This discussion is built upon a solid theory of how failures occur, rather than relying on seat-of-the-pants techniques, which are of little help with large software systems or to those learning to program. The author, Andreas Zeller, is well known in the programming community for creating the GNU Data Display Debugger (DDD), a tool that visualizes the data structures of a program while it is running. 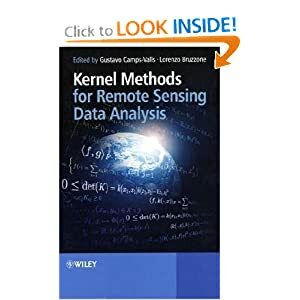 Presenting the theoretical foundations of kernel methods (KMs) relevant to the remote sensing domain, this book serves as a practical guide to the design and implementation of these methods. Five distinct parts present state-of-the-art research related to remote sensing based on the recent advances in kernel methods, analysing the related methodological and practical challenges. 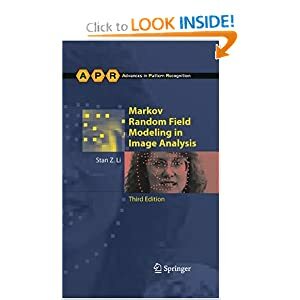 Recommended by Dr. Prospero Naval Jr.
Markov random field modeling in image analysis, 3rd ed. Markov random field (MRF) theory provides a basis for modeling contextual constraints in visual processing and interpretation. It enables us to develop optimal vision algorithms systematically when used with optimization principles. This book presents a comprehensive study on the use of MRFs for solving computer vision problems. Various vision models are presented in a unified framework, including image restoration and reconstruction, edge and region segmentation, texture, stereo and motion, object matching and recognition, and pose estimation. This third edition includes the most recent advances and has new and expanded sections on topics such as: Bayesian Network; Discriminative Random Fields; Strong Random Fields; Spatial-Temporal Models; Learning MRF for Classification. This book is an excellent reference for researchers working in computer vision, image processing, statistical pattern recognition and applications of MRFs. It is also suitable as a text for advanced courses in these areas. 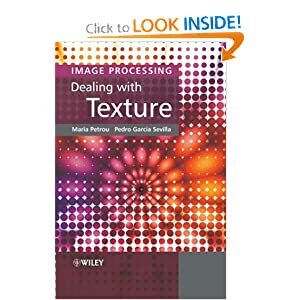 With a wholly practical approach and many worked examples, Image Processing: Dealing with Texture is a comprehensive guide to these techniques, including chapters on mathematical morphology, fractals, Markov random fields, Gabor functions and wavelets. Structured around a series of questions and answers, enabling readers to easily locate information on specific problems, this book also: provides detailed descriptions of methods used to analyse binary as well as grey texture images; presents information on two levels: an easy-to-follow narrative explaining the basics, and an advanced, in-depth study of mathematical theorems and concepts; looks at ‘good’ and ‘bad’ image processing practice, with wrongly designed algorithms illustrating ‘what not to do’; and includes an accompanying website, setting out all algorithms discussed within the text. Place of Publication Homewood, Ill. This revised edition presents the latest information on electric motors and drives as used in industry. 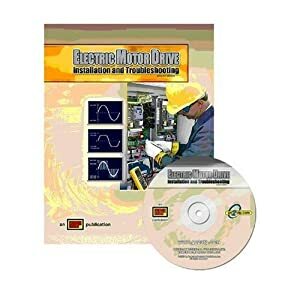 Electric Motor Drive Installation and Troubleshooting includes drive theory and applications, as well as installtion, testing, and troubleshooting procedures. Topics covered include drive programming and extensive information on the selection of motor drives for specific applications. This editions includes expanded coverage of applications and motor drive selection. Review questions and expanded paper-and-pencil activities at the end of each chapter provide a solid assessment. 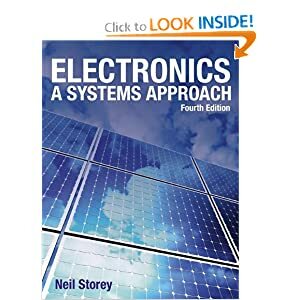 Electronics : a systems approach, 4th ed. The fourth edition of Electronics: A Systems Approach is an outstanding introduction to this fast-moving, important field. Fully updated, it covers the latest changes and developments in the world of electronics. It continues to use Neil Storey’s well-respected systems approach, firstly explaining the overall concepts to build students’ confidence and understanding, before looking at the more detailed analysis that follows. This allows the student to contextualize what the system is designed to achieve, before tackling the intricacies of the individual components. The book also offers an integrated treatment of analogue and digital electronics, highlighting and exploring the common ground between the two fields. This fourth edition represents a significant update and a major expansion of previous material, and now provides a comprehensive introduction to basic electrical engineering circuits and components in addition to a detailed treatment of electronic systems. 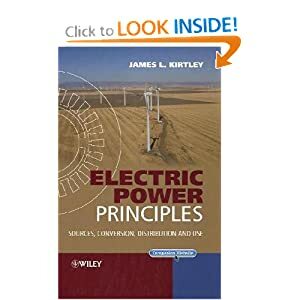 This extended coverage permits the book to be used as a stand-alone text for introductory courses in both Electronics and Electrical Engineering. 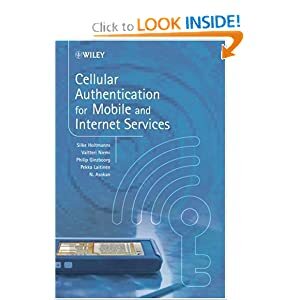 Cellular Authentication for Mobile and Internet Services introduces the reader into the field of secure communication for mobile applications, including secure web browsing with a phone or PC, Single Sign-On (SSO), mobile broadcast content protection, secure location services, etc. The book discusses the Generic Authentication Architecture (GAA) of the mobile standardization body 3rd Generation Partnership Project (3GPP) and its American counterpart 3GPP2 in full detail and with all variants. It explains the usage of GAA by various standardization bodies and standardized applications, and also looks at a number of non-standardized ones, such as secure remote login to enterprise environment and card personalization. Signals and systems analysis in biomedical engineering, 2nd ed. 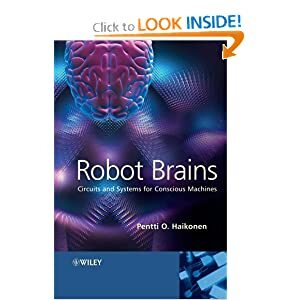 The first edition of this text, based on the author’s 30 years of teaching and research on neurosensory systems, helped biomedical engineering students and professionals strengthen their skills in the common network of applied mathematics that ties together the diverse disciplines that comprise this field. 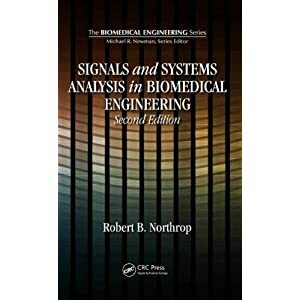 Updated and revised to include new material as the field has grown, Signals and Systems Analysis in Biomedical Engineering, Second Edition continues to provide a ready source of information on those specialized mathematical techniques most useful in describing and analyzing biomedical signals. Enriched with many examples that promote sound practical analysis, this volume covers classical linear systems theory and its applications to biomedicine. It examines the important use of joint time-frequency analysis to characterize non-stationary physiological signals, and explores the mathematics of tomographic imaging (the Radon transform, the Fourier slice theorem, and the filtered back-projection algorithm). It also describes the analytical signal and the Hilbert transform and some of its biomedical applications. New chapters in this edition include one on the analysis of nonlinear biochemical systems and biochemical oscillators, as well as one introducing complex systems and illustrating ways to best model them. 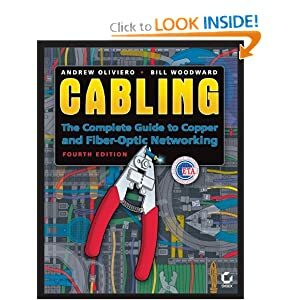 Cabling : the complete guide to copper and fiber-optic networking, 4th ed. With the growing demand for fiber optics in large-scale communications networks, network professionals need complete, up-to-the-minute information. The fourth edition of this popular guide provides you with the latest on copper and fiber-optic networking. 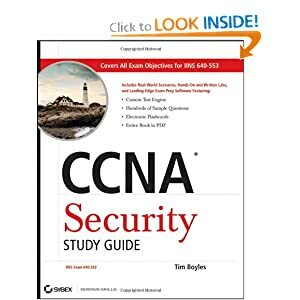 It is particularly useful for those studying for the Fiber Optics Installer or Fiber Optics Technician certifications. Part I covers the basics of cabling, while Part II is devoted to in-depth information on fiber optics, allowing you to stay up to speed on all aspects of the field. 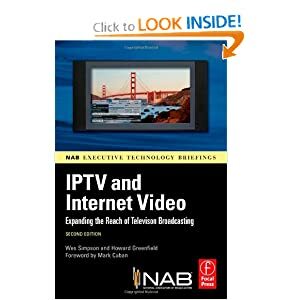 IPTV and Internet video : expanding the reach of television broadcasting, 2nd ed. Make the right IPTV business decisions with a thorough understanding of the technology and the business implications of the broadband video revolution. Master key trends transforming the world of broadcast television and the Web with this guide to hardware, software, Internet applications and the wide range of alternative products and services. Explore why IP is the new gold standard for online video delivery and how it will be monetized. Understand the entire IPTV process, with clear explanations of complex technologies designed to help leaders make informed decisions and drive successful strategies. VoIP Deployment For Dummies is a crash course in Voice over Internet Protocol implementation. Here’s how to analyze your network and implement a VoIP phone system, manage and maintain it, keep it secure, and troubleshoot problems. You’ll learn how to plan the rollout, work with Session Initiation Protocol (SIP), handle fax issues, and keep your users happy. Understand how VoIP works, common misconceptions about it, and the pros and cons for your organization; Compare and comprehend hardware and software choices; Discover the options for touch tones and faxing via VoIP systems; Analyze network devices, IP addresses, connections to remote sites, and other aspects that will affect VoIP implementation;Draw up a test plan, check out both voice and fax transmission, get a report, and schedule the installation; Investigate SIP call generation, identify the elements, understand cancelled calls, and re-INVITE calls; Troubleshoot your system, identify call variables, trace the source of a problem, manage trouble tickets, and resolve failures; Manage latency, jitter, and flap, and take advantage of Wireshark; Find out what to expect when your system goes live. 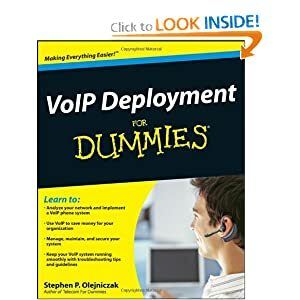 Written by an expert with extensive real-world experience in VoIP implementation and management, VoIP Deployment For Dummies provides the know-how you need. 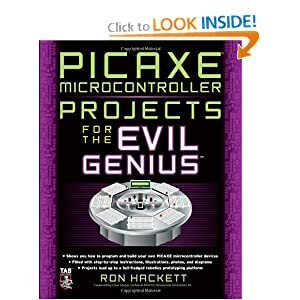 This wickedly inventive guide shows you how to program and build a variety of projects with the Arduino microcontroller development system. 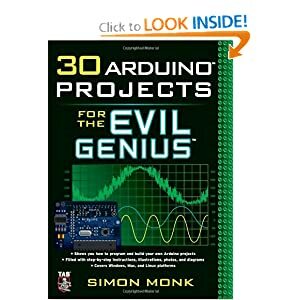 Covering Windows, Mac, and Linux platforms, 30 Arduino Projects for the Evil Genius gets you up to speed with the simplified C programming you need to know–no prior programming experience necessary. Using easy-to-find components and equipment, this do-it-yourself book explains how to attach an Arduino board to your computer, program it, and connect electronics to it to create fiendishly fun projects. Supported by more than a hundred companies, the new ZigBee standard enables powerful new wireless applications for safety, security, and control, ranging from smart energy to home automation and medical care to advanced remote control. 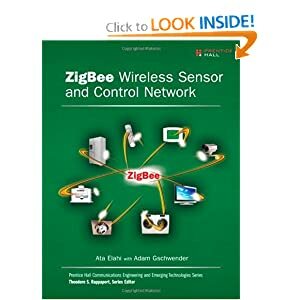 ZigBee Wireless Sensor and Control Network brings together all the knowledge professionals need to start building effective ZigBee solutions. The only simple, concise guide to ZigBee architecture, concepts, networking, and applications, this book thoroughly explains the entire ZigBee protocol stack and covers issues ranging from routing to security. It also presents detailed, practical coverage of ZigBee features for home automation, smart energy networking, and consumer electronics. This authoritative guide is the first to provide a complete system design perspective based on existing international standards and state-of-the-art networking and infrastructure technologies, from theoretical analyses to practical design considerations. The four most critical components involved in a multimedia networking system – data compression, quality of service (QoS), communication protocols, and effective digital rights management – are intensively addressed. Many real-world commercial systems and prototypes are also introduced, as are software samples and integration examples, allowing readers to understand practical tradeoffs in the design of multimedia architectures, and get hands-on experience learning the methodologies and procedures. Balancing just the right amount of theory with practical design and integration knowledge, this book is ideal for graduate students and researchers in electrical engineering and computer science, and also for practitioners in the communications and networking industry. 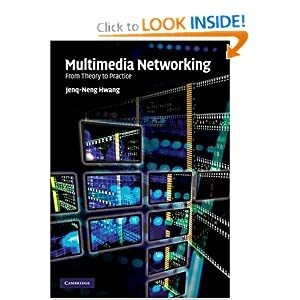 It can also be used as a textbook for specialized graduate-level courses on multimedia networking. This innovative approach to the fundamentals of electric power provides the most rigorous, comprehensive and modern treatment available. To impart a thorough grounding in electric power systems, it begins with an informative discussion on per-unit normalizations, symmetrical components and iterative load flow calculations. 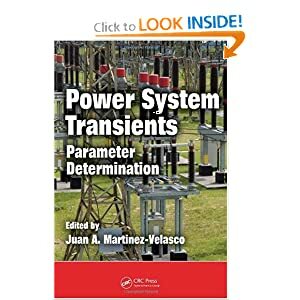 Covering important topics within the power system, such as protection and DC transmission, this book looks at both traditional power plants and those used for extracting sustainable energy from wind and sunlight. With its comprehensive coverage of the state of the art, Electric Machines: Steady State, Transients, and Design with MATLAB® addresses the modeling, design, testing, and manufacture of electric machines to generate electricity, or in constant or variable-speed motors for motion control.Organized into three stand-alone sections—Steady State, Transients, and FEM Analysis and Optimal Design—the text provides complete treatment of electric machines. It also: Explores international units; Contains solved and proposed numerical examples throughout; Guides students from simple to more complex math models; Offers a wealth of problems with hints. 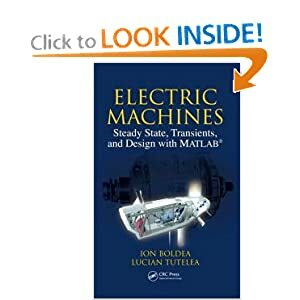 The book contains numerous computer simulation programs in MATLAB and Simulink®, available on an accompanying CD-ROM, to help readers make a quantitative assessment of various parameters and performance indices of electric machines. Sensors and control systems in manufacturing, 2nd ed. Thoroughly updated with cutting-edge technologies, this detailed resource offers proven methods for effectively evaluating, selecting, and implementing sensors and controls to ensure error-free manufacturing environments. 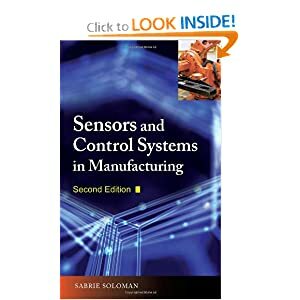 Sensors and Control Systems in Manufacturing, Second Edition offers step-by-step guidance on applying sensors to measure product parameters, control manufacturing, develop precision manufacturing systems, and generate and control motion. Real-world examples are included throughout to demonstrate successful industrial applications. Calculus : early transcendentals, International ed. An up-to-date, core undergraduate text, Introduction to Computer Music deals with both the practical use of technology in music and the key principles underpinning the discipline. It targets both musicians exploring computers, and technologists engaging with music, and does so in the confidence that both groups can learn tremendously from the cross-disciplinary encounter. It is designed to approach computer music as its own subject and strongly bridge the arts to computing divide, benefiting and reconciling both musicians and computer scientists. You will need little or no prior experience of computer programming itself, and may not have an extensive background in mathematics or music, but this highly engaging textbook will help you master many disciplines at once, with a focus on both fascinating theories and exciting practical applications. Interested parties who similarly would like to donate to the library may contact us thru 981-8500 loc. 3143-3144 (Engglib1) or 3251-3252 (Engglib2), or send us an e-mail at library@engglib1.upd.edu.ph or library@engglib2.upd.edu.ph. With our open shelf system, you can browse and get any title of journals or magazines that you want. If you need to photocopy an article/s, simply fill-up the Journal Request Slip and leave your ID at the staff desk. The range of energy systems carried by this volume is inclusive, encompassing thermal and gas turbines, renewable power, fuel cells (low and high temperature), nuclear power generation (fission and fusion) and the transmission and storage of the energy produced. The editors consider aspects of the hydrogen economy, as well as the materials employed in the design of batteries, and in energy conversion in a range of devices and actuators. Over 80 articles have been selected which discuss the applications of materials to these energy systems, with emphasis placed upon the generation of nuclear energy. The whole assembly provides the reader with an up-to-date understanding of the applications of the entire range of materials of engineering importance, across metals, ceramics and polymeric materials. The Rock Physics Handbook addresses the relationships between geophysical observations and the underlying physical properties of rocks. It distills a vast quantity of background theory and laboratory results into a series of concise chapters that provide practical solutions to problems in geophysical data interpretation. This expanded second edition presents major new chapters on statistical rock physics and velocity-porosity-clay models for clastic sediments. Other new and expanded topics include anisotropic seismic signatures, borehole waves, models for fractured media, poroelastic models, and attenuation models. This new edition also provides an enhanced set of appendices with key empirical results, data tables, and an atlas of reservoir rock properties – extended to include carbonates, clays, gas hydrates, and heavy oils. Supported by a website hosting MATLAB routines for implementing the various rock physics formulas, this book is a vital resource for advanced students and university faculty, as well as petroleum industry geophysicists and engineers. Drawn from the third edition of The Coatings Technology Handbook, this book focuses entirely on testing, experimental design, and strategies for selecting processing techniques in the coatings, adhesives, paints, and inks industries. Coatings Technology: Fundamentals, Testing, and Processing Techniques contains the latest coating and processing methods capable of satisfying increasingly precise, application-specific requirements. The book contains analytical techniques used to elucidate surface chemistry, adhesion, and other physical properties. It also presents practical methods, such as accelerated light stability tests, to compare the resistance of different materials to wear, UV light/fading, and weathering. Subsequent chapters explore the most suitable techniques and the equipment for applying materials to different substrates, depending on material properties, service needs, and substrate types. Considering metal and nonmetal coatings and substrates, the book highlights the most recent advances on ink-jet printing, electrodeposition, vapor/chemical deposition technologies, high-speed dispersion, and other cutting-edge methods. Coatings Technology: Fundamentals, Testing, and Processing Techniques provides the the necessary information for scientists and engineers to perform testing and determine what materials and processing technique is most suitable for their own applications.